In a new book, 'Veerappan: Chasing The Brigand', former Special Task Force (STF) chief K. Vijay Kumar writes about how the sandalwood smuggler Veerappan hoodwinked the police for 20 years, and how he finally met his end. Here, Kumar talks about the STF starting yet another operation to catch the brigand. A Land Of Serial Executions? Was the Sister's ordeal just about anti-Christian violence? It's a hard, yet humanising look at the life of the brigand in hiding. What happened to all the sandalwood Veerappan smuggled in his two-decade reign? Who runs the business now? A journey down the illegal trade route. 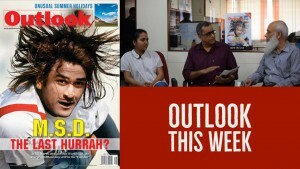 The Karnataka chief minister in conversation with Outlook.